Here's the summary of meek's CDN fees for June 2015.
level, requiring more instance hours. number of requests stayed about the same. should not count it continuing to work after that. 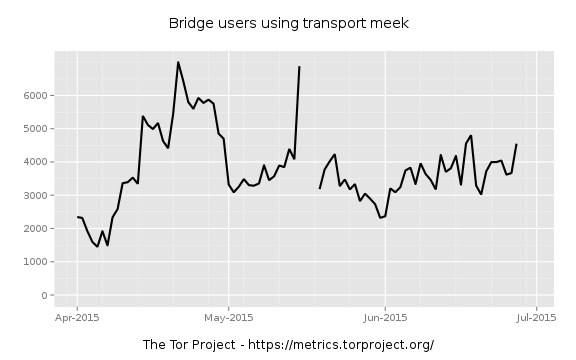 we have had to estimate bandwidth usage by measuring at the bridge.